A classic boutique beach resort, the Blockade Runner sits oceanside on Wrightsville Beach offering guests a unique coastal experience. Rooms combine harborfront or oceanfront views with spacious luxury and amenities like spa robes, glass-door balconies, and complimentary wifi. Of if you’re planning a big gathering or family reunion, rent out The Cottage with its 13 bedrooms, a full kitchen, and room for 20 at the dining room table. 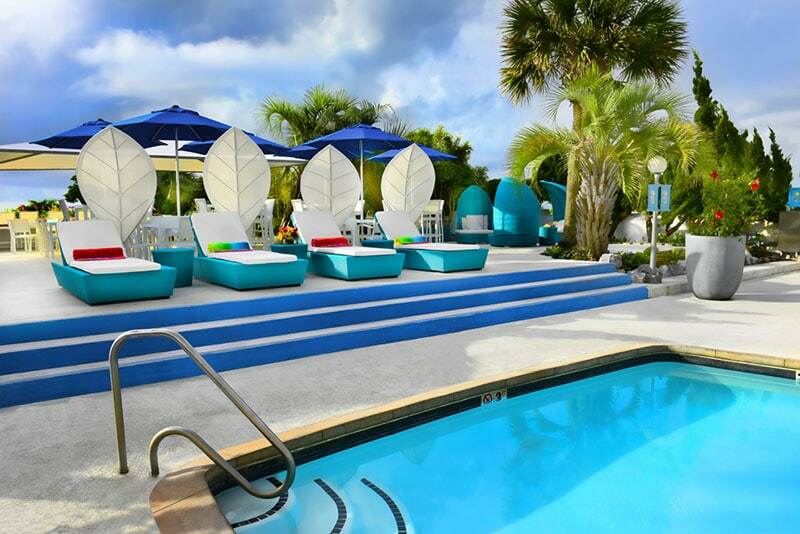 Aside from beach access with loungers and umbrellas provided, the resort has a swimming pool, fitness center, boat slips, and soundside activities like kayaking, stand-up paddleboarding, fishing, and sailing. And they have instructors and tours available too. Enjoy fresh seafood at EAST Oceanfront Dining, located outdoors on the property, or have drinks at the Aquarium Bar right next to colorful fish. Oh, and Friday night is lobster night!